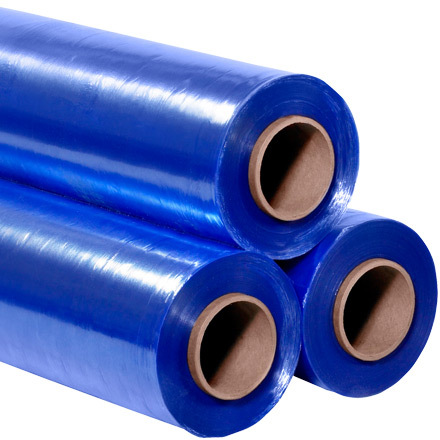 Corrosion inhibitor embedded in blue stretch film. Perfect for wrapping large and irregular shaped metal parts. Dispenses with standard stretch film equipment.